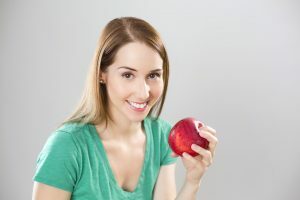 “An apple a day keeps the doctor away” is a well known saying, but most people probably do not think beyond that, however science is revealing there might be more truth to this phrase than you might think. As we previously explored in our introduction, Isoquercetin is a chemical cousin to quercetin but with considerably better bioavailability but the same method of action. Today we will explore some of the studies and health benefits of both compounds. As we age inflammation in the body increases due to a number of sources including, immunosenescence, microbial burden, cell debris, NF-KB protein complex activation and senescent cell accumulation. Regardless of the source of inflammation the results are the same, disruption to intercellular communication and subsequent loss of regeneration and repair in tissues. Inflammation is one of the hallmarks of aging and is a key player in age-related diseases(1). With aging inflammatory signals increase in the body due to the accumulation of non-dividing senescent cells which spew out a cocktail of detrimental signals that poison nearby cells and damage the body. This cocktail of signals is known collectively as the senescence-associated secretory phenotype (SASP) and it contains a variety of pro-aging factors such as CD38, IL-6, TGFβ, NF-KB and so on(2-3). The inflammation created by senescent cells has been suggested as a target for therapies due to its prominent role in aging and pathology(4-5). In mouse studies, removing senescent cells improved health, longevity and delayed the onset of age-related diseases(6). Interestingly when quercetin was combined with cancer drug Dasatinib (Sprycel) in mouse studies, it appeared to remove senescent cells by inducing apoptosis and improved health(7). A follow up mouse study showed improvement of cardiovascular health in heart disease and aged mouse models(8). Further benefits to vascular health, Isoquercetin has a demonstrated dose-dependent protective effect against oxidative injury to blood vessels(9). It has also been shown to protect the venular endothelium from the inflammatory signals released by activated blood platelets and polymorphonuclear granulocytes(10). Inflammation drives a number of age related processes and CD38, a protein present in SASP is a key player in the decline of NAD+ as we age(9). NAD+ is found in every cell in the body and converts the energy from the food we eat into fuel for various cellular processes and also slows down the aging process by interacting with the sirtuins. NAD+ is an important part of our metabolic system and plays a role in health and lifespan and contributes to our loss of energy as we age. Interestingly in studies Quercetin was shown in mouse studies to help to reduce the loss of NAD+ by inhibiting CD38(11-12). Also as CD38 levels increase due to age-related inflammation that rising level correlates with mitochondrial dysfunction and is directly implicated in metabolic changes and diseases(13). So reducing levels of CD38 by consuming quercetin could be beneficial to us in terms of metabolism and remaining healthy. You can read more about CD38 the NAD destroyer here. Microbial burden is also a known driver of inflammation and aging in the body and rises with age and quercetin has been shown to have an antibacterial effect(14-15). Using quercetin or isoquercetin to reduce the microbial burden could be of benefit to the immune system and help reduce immune related inflammatory responses that cause increasing problems as we age. Quercetin has potential for treating metabolic disorders such as diabetes(16-17) and helping to control obesity(18). 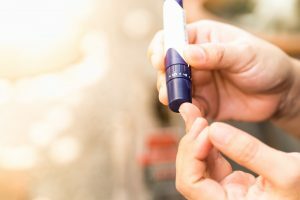 In a research study in rats quercetin showed its ability to prevent diabetic vascular complications via its reduction of inflammatory response, in particular the NK-FB protein complex one of the master regulators of DNA transcription, cytokine production and cell survival which becomes increasingly dysfunctional as the immune system ages(19). Quercetin has in studies been shown to combat cancer by inducing apoptosis in cancerous cells(20-24). A study in 2013 shows how quercetin was able to reduce the proliferation and cell viability of leukemic cell lines(25). The data below shows the results after just 48 hours. As you can see there is a strong anticarcinogenic action from quercetin. Fig 1. Quercetin effect on cancer cell lines after 48 hours. On three leukemic cell lines (CEM, K562 and Nalm6). There are a myriad of cancer studies showing similar promising results making quercetin and isoquercetin of great interest for cancer prevention and treatment. 1. López-Otín, C., Blasco, M. A., Partridge, L., Serrano, M., & Kroemer, G. (2013). The hallmarks of aging. Cell, 153(6), 1194-1217. 2. Coppé, J. P., Desprez, P. Y., Krtolica, A., & Campisi, J. (2010). The senescence-associated secretory phenotype: the dark side of tumor suppression. Annual review of pathology, 5, 99. 3. Min, Y. D., Choi, C. H., Bark, H., Son, H. Y., Park, H. H., Lee, S., … & Kim, S. H. (2007). Quercetin inhibits expression of inflammatory cytokines through attenuation of NF-κB and p38 MAPK in HMC-1 prove human mast cell line. Inflammation Research, 56(5), 210-215. 4. Tchkonia, T., Zhu, Y., Van Deursen, J., Campisi, J., & Kirkland, J. L. (2013). Cellular senescence and the senescent secretory phenotype: therapeutic opportunities. The Journal of clinical investigation, 123(3), 966-972. 5. Zhu, Y., Armstrong, J. L., Tchkonia, T., & Kirkland, J. L. (2014). Cellular senescence and the senescent secretory phenotype in age-related chronic diseases. Current Opinion in Clinical Nutrition & Metabolic Care, 17(4), 324-328. 6. Baker, D. J., Wijshake, T., Tchkonia, T., LeBrasseur, N. K., Childs, B. G., Van De Sluis, B., … & van Deursen, J. M. (2011). Clearance of p16Ink4a-positive senescent cells delays ageing-associated disorders. Nature, 479(7372), 232-236. 7. Zhu, Y., Tchkonia, T., Pirtskhalava, T., Gower, A. C., Ding, H., Giorgadze, N., … & O’Hara, S. P. (2015). The Achilles’ heel of senescent cells: from transcriptome to senolytic drugs. Aging cell, 14(4), 644-658. 8. Roos, C. M., Zhang, B., Palmer, A. K., Ogrodnik, M. B., Pirtskhalava, T., Thalji, N. M., … & Zhu, Y. (2016). Chronic senolytic treatment alleviates established vasomotor dysfunction in aged or atherosclerotic mice. Aging Cell, 15(5), 973-977. 9. Vitor, R. F., Mota-Filipe, H., Teixeira, G., Borges, C., Rodrigues, A. I., Teixeira, A., & Paulo, A. (2004). Flavonoids of an extract of Pterospartum tridentatum showing endothelial protection against oxidative injury. Journal of ethnopharmacology, 93(2), 363-370. 10. Nees, S., Weiss, D. R., Reichenbach-Klinke, E., Rampp, F., Heilmeier, B., Kanbach, J., & Esperester, A. (2003). Protective effects of flavonoids contained in the red vine leaf on venular endothelium against the attack of activated blood components in vitro. Arzneimittelforschung, 53(05), 330-341. 11. Schultz, M. B., & Sinclair, D. A. (2016). Why NAD+ Declines during Aging: It’s Destroyed. Cell metabolism, 23(6), 965-966. 12. Escande, C., Nin, V., Price, N. L., Capellini, V., Gomes, A. P., Barbosa, M. T., … & Chini, E. N. (2013). Flavonoid Apigenin Is an Inhibitor of the NAD+ ase CD38 Implications for Cellular NAD+ Metabolism, Protein Acetylation, and Treatment of Metabolic Syndrome. Diabetes, 62(4), 1084-1093. 13. Camacho-Pereira, J., Tarrago, M. G., Chini, C. C., Nin, V., Escande, C., Warner, G. M., … & Chini, E. N. (2016). CD38 dictates age-related NAD decline and mitochondrial dysfunction through an SIRT3-dependent mechanism. Cell metabolism, 23(6), 1127-1139. 14. Cushnie, T. T., & Lamb, A. J. (2005). Antimicrobial activity of flavonoids. International journal of antimicrobial agents, 26(5), 343-356. 15. Sen, G., Biswas, D., Ray, M., & Biswas, T. (2007). Albumin–quercetin combination offers a therapeutic advantage in the prevention of reduced survival of erythrocytes in visceral leishmaniasis. Blood Cells, Molecules, and Diseases, 39(3), 245-254. 17. Zhang, R., Yao, Y., Wang, Y., & Ren, G. (2011). Antidiabetic activity of isoquercetin in diabetic KK-A y mice. Nutrition & metabolism, 8(1), 1. 19. Mahmoud, M. F., Hassan, N. A., El Bassossy, H. M., & Fahmy, A. (2013). Quercetin protects against diabetes-induced exaggerated vasoconstriction in rats: effect on low grade inflammation. PloS one, 8(5), e63784. 20. GULATI, N., LAUDET, B., ZOHRABIAN, V. M., Murali, R. A. J., & JHANWAR-UNIYAL, M. E. E. N. A. (2006). The antiproliferative effect of Quercetin in cancer cells is mediated via inhibition of the PI3K-Akt/PKB pathway. Anticancer research, 26(2A), 1177-1181. 21. Gibellini, L., Pinti, M., Nasi, M., Montagna, J. P., De Biasi, S., Roat, E., … & Cossarizza, A. (2011). Quercetin and cancer chemoprevention. Evidence-Based Complementary and Alternative Medicine, 2011. 22. Vargas, A. J., & Burd, R. (2010). Hormesis and synergy: pathways and mechanisms of quercetin in cancer prevention and management. Nutrition reviews, 68(7), 418-428. 23. Srivastava, S., Somasagara, R. R., Hegde, M., Nishana, M., Tadi, S. K., Srivastava, M., … & Raghavan, S. C. (2016). Quercetin, a natural flavonoid interacts with DNA, arrests cell cycle and causes tumor regression by activating mitochondrial pathway of apoptosis. Scientific reports, 6. 24. Murakami, A., Ashida, H., & Terao, J. (2008). Multitargeted cancer prevention by quercetin. Cancer letters, 269(2), 315-325. 25. JUNG-ACHOI, J. Y. K., LEE, J. Y., KANG, C. M., & KWON, H. J. (2001). Induction of cell cycle arrest and apoptosis in human breast cancer cells by quercetin. International journal of oncology, 19, 837-844.